Ha! Sadly, I did not come from any magical land. I was born and mostly raised in Arizona. When my parents went to college, we moved to Texas for a few years, but other than that and a very short stint in Arkansas, I’ve lived in my birth state. However, not for much longer. I’ve planned my escape and in four or so years I should be living under towering pines and listening to the ocean. If my luck holds, it’ll rain every day, too. Ooh! Well Arizona sounds magical to a plain old English girl like myself and your move sounds like the perfect place to write some more magical tales. How long have you been making magic with your writing? Not long. I had drafted all four books of the Keepers of Arden series in a year (mid 2011-mid 2012—although, all were horrible and required rewrites), with no intent on letting another soul read it. It was my husband who encouraged me to think about actually publishing them. A few months passed before I worked up the courage to let another person read the first book in the series. Then it took many more months before I handed it over to an editor. After that, it happened way too fast. I was published in a few months after I’d made the changes the editor suggested. Besides Keepers of Arden, I have five other series in the wings and I’ve fiddled around with a few first chapters for 4 out of the 5. So basically, the majority of my writing has been over the last 3 years. However, in high school I tested out of standard English classes, so I signed up for creative writing, which I took for the last two years of school. I wrote tons of stories during that time, but, sadly, I kept none of them. For several personal reasons, I was focused on obtaining a stable career and earning enough money to support myself (I had my own apartment when I was a senior in high school and worked full time). Because of my need for stability, being a writer never once crossed my mind. But after I obtained everything I sought, I realized how unhappy I was. So, I wrote, because I remembered being happy when I wrote. And that, over alllll those years, never changed. It’s hard work, but well worth the reward. Wow! You are incredibly productive with all of those books waiting in the wings to be launched out into the literary world. Please come back and keep us updated with all your new releases. I am sure you will have a huge fan following in no time at all. It just goes to show how important it is for a writer to follow their dreams and share them with the world through their writings. Are you promoting a particular book at the present time? Keepers of Arden: The Brothers Volume 1 is the only book I have published at this time. Hopefully this year, the second book in the series will be available. It’s a monster of a book, though, so it’s taking some time to edit. I don’t have a definite date yet, but within the next 2 months Keepers of Arden: The Brothers Volume 1 will be available in print. I plan to run a nice little promotion on the ebook to celebrate so please keep on eye on my website for updates. It all sounds very exciting. I have to confess I prefer having a real live book, with paper pages to turn, in my hand but for all of you ebook junkies out there you can purchase Keepers of Arden: The Brothers Volume 1 now. Just click on the book to buy it now and it will soon be nicely nestled in your ereader and ready to go. What genre do you consider you write in – just fantasy or do you write other genres as well? At this point, I’m only writing fantasy. It’s my home. I grew up here and I’ve loved it since I can remember. I had a horror stage, and in high school that’s mainly what I wrote, but over the years I’ve realized that epic/sword/sorcery books will always be my favourite. One day I might venture into a sci-fi with heavy fantasy elements, and perhaps way in the future I’ll try my hand in horror, but I’ve got too many books in the traditional fantasy setting that require a voice, or rather, words. Well there is no end to the imagination and it is so great to hear that you love your craft and have an endless well of imaginative ideas to come. This can only be fantastic news for your readers. Can you give us the magical details of your latest book? Keepers of Arden: The Brothers Volume 1 follows the story of Salvarias and Wilhelm Laybryth from childhood into adulthood. In the first book, we learn there is a very unpleasant “being” seeking Salvarias, though the brothers have no idea of it until later. Book 1 is more of a journey through their childhood, touching on key events in their lives. Salvarias will learn of his magic and many other gifts he possesses. Keepers of Arden: The Brothers Volume 2 will continue the story of Salvarias and Wilhelm and, unfortunately, the brothers’ journey will only get more difficult. The mysterious powers Salvarias possesses will be unleashed, and neither are pretty to witness. Wilhelm will learn his worth and recover a terrible memory. More secrets will be harboured and more yet will be revealed. By the end of book 2, the brother’s will be standing on the cusp of revelation. Ooh! (shivers) sounds delightfully dark and magically menacing. The perfect fantasy story to curl up with in front of a warm fire on a cold night. Can’t wait to read it. Where did the idea come from? Did a dark elf whisper it in your ear? No dark elf, just the dark side of human nature. There are many influences that helped me create the world and people of Arden. However, the strongest would be a book I read that made me want to pull out my hair. It had a set of brothers who never really got along, but deep down loved and cared for each other. I wanted them to have a closer relationship, so I said: Screw it! I’ll write my own story. Which is what prompted Keepers of Arden. As I wrote, my main thought was how judgemental we as humans seem to be. So I made a character in Salvarias, who people readily judged after one look. But there is much more to him than what he portrays. Also, nothing scares me more than the human mind. We’re capable of such atrocious acts as well as deeply compassionate acts. For me, everyone makes a daily choice to be as good a person as they can. Basically, we have two sides and I thought to call it to light. Then I thought: What if that evil side was actually a presence alive inside you? How would you handle it? Better yet, what if you didn’t know it was evil? What if you thought it was helping you? Thus, Salvarias was born. Oh how the psychological curiosity of a writer works – love it L.K. It is so important for a writer to really step into the mind of their characters and explore the dark as well as the light of their motivations, loves, hopes and fears. This can only lead to a much deeper understanding of the characters for the reader and ultimately a more thrilling read. I would have liked an enchanted forest. Since Keepers of Arden is, in my opinion, a character driven book, I didn’t do a lot of research. A tad bit, but nothing compared to what I’m doing for another series. There were some late nights where I just couldn’t stop writing, and some days where I stared at the computer waiting for it to do something. Furthermore, Arden is a land abandoned by the higher gods, so they’re just starting out. The lands are divided, but not at war. I consider them in a kind of shock; roaming around status quo, almost in denial of being abandoned. So to me, the world is rather simple, yet… I’ll just say unfinished. The perfect story is the never ending kind, I say! Do you think your writing is improving with each enchanted addition to your fantasy library? Absolutely! I see a huge difference between book 1 and book 2. I’m sure I’ll see another leap from book 2 to 3. And Keepers of Arden will be drastically different from my next series. What has and is helping me, is reading, reading, reading. It has dramatically improved my writing. Did you find yourself stuck in a dark fairy circle at any stage during the writing that held things up for a bit or did it flow freely? If you’d asked me a year and a half ago, I would have said no, that writing comes easy to me. Now, yes I do. Going back to your last question, reading other works has taught me a lot and shown me several mistakes I made. I’m doing everything in my power to avoid them in book 2, which means writing is tougher than ever. I do have entire days where I type but nothing logical comes out of it. Other days, I seriously stare at the computer, read a few paragraphs I wrote the day prior, and I usually end the day feeling perturbed with myself. What I’ve found is that reading other books helps me move beyond those moments. After I read a good book, I sit down with mine and say: Oh, well that’s an easy fix. It just goes to illustrate the importance for writers to keep up with their reading – they need to be able to manage their time to fit in everything that is important and there is nothing more important than reading! Why do you love this craft so much? That’s the craft of writing by the way not magic and sorcery? But I do love myself a bit of magic! 🙂 Seriously though, for me that’s a deeply personal question. When I started writing, it was an outlet; a way to explore myself and what I’ve been through and where I want to go. Over the short period I’ve been doing it, my feelings have grown. Yes, it still is a way for me to make sense of everything, but it is also a way to reach out to others and hopefully inspire them, or make them see a character struggle with what they’ve been through and overcome it. I want my book to help someone, even just one person. Because several books have done that for me, and I know what a wonderful feeling it is and the hope that can be gained from words. I think all fantasy writers have magic deeply engrained in their being – they must do or how else could it flow so freely from them in their writing? I think you are incredibly inspiring and I’m sure many others will feel that also, just from how passionate you are about your writing – your world and character building reflects this. I think this would vary by series. For Keepers, my process was write as I go. I had no idea where the book was heading until it was done. I think that process was important because I grew my characters with each experience. Heck, I grew with them. However, for one of my next series there will tons of planning. I want it to be as much about the characters as it is the world. Another series is still heavily character driven, but needs a bit of history built up… detailed history that I didn’t need for a book like Keepers. I’d need that mapped out so I don’t get lost. Do you have a crowd of magical beings who follow you and read every word and encourage you? My mother and sister were first to read my book. We have a very small family, but both were extremely supportive. I’ve only been published for about 9 months and I’m slowly building my audience. I’ve got a few fans who mean the world to me. Hearing their praise can never get old. Since I’m in this business for the long haul, I’m not in a huge rush to build a massive fan base. I’m patient enough to let it grow organically over time. Without a traditional publisher, the marketing is left up to me. I’m fine with that, but I’m a rather shy person. It takes me a bit to reach out, so I understand my “magical beings” will come with time. I have no experience with traditional publishing (I didn’t submit my manuscript to any), but the indie/SPA is a terribly tough business. Extroverts might have a better run at it, but us introverts have an extreme challenge ahead of us. Regardless, writing is something that I love doing, which means I’m more than willing to put in the work needed. I have no illusions of being the next Patrick Rothfuss or Michael J Sullivan, but I have hopes that I can at least support my habit. Talking of journeys – this book is part of a magical and mysterious series? Where is it going? I’d say… well, mostly magical, with a little mystery. I’ve thrown enough clues into the first book that a person who studies it might be able to solve everything and know what’s going on. I lean more towards magical because Salvarias is a mage, a very powerful one. However, there’s not a lot of mages in Arden. They’re rare and treated rather poorly, not to mention there’s the Association of Mages, that sets some strict guidelines. If anything, I’d say this is a journey type book. It follows the brothers from birth to adulthood. Book 2-4 only spans a year or so, but I envisioned the reader following the brothers as they try to discover who they are and what role they play in the world. Have you had some good reviews for your book? If you couldn’t be a writer what would you do instead? And no! A magician’s apprentice is not an option! Dang it! I’d love to be a mage! Oh well. I’d have to go with… dog day care owner. It’s what I was looking into doing before I wrote Keepers of Arden. I have two beautiful Siberian Huskies and I adore dogs (actually, pretty much all animals. There’s a few insects I don’t much care for, but everything else is on my like list). So having a room full of dogs for an entire day wouldn’t be a bad thing. It changes frequently. Right now, it’s Patrick Rothfuss for both his writing and his humour outside his books. And I have to add two more: D.Z.C. and Zachary Jernigan. Both I find incredibly talented and I look up to them immensely. I don’t. I’ve thought about it, but then I decided against it. Maybe one day. Absolutely, plenty of time. Many authors say they are invaluable, others don’t think they help. It’s just another promotional tool in your writing toolbox. Read or take my dogs for a walk. 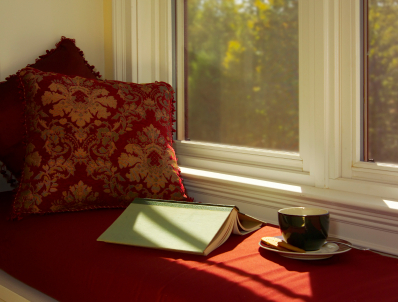 I’m finding reading is, as always, a wonderful escape from reality and the pressures of life. I’ve hidden away in pages of books since I was little, and when I emerge, I feel rejuvenated and stronger. I like to hang out with characters who are experiencing situations ten times more horrible than mine and maintain their hope and fight. It’s inspiring. Sadly, I don’t. Since I started writing Keepers of Arden for myself, I never thought to join a group to obtain feedback. It’s definitely something I’ll be doing for my next series and I have a group I’ve been keeping my eye on for a year or so. I think having that group support would have been instrumental in helping me learn faster than I am, and I’m not about to make the same mistakes on the next series. So, hopefully, I can come back and visit you and provide a much better answer to this question. Don’t forget you can find some great online groups and forums too, Facebook also has lots of groups. I have a lovely fantasy group on Facebook that I keep an eye on and pop in and out of on occasion and also MARSocial has some great groups. Here are those links if anyone would like to explore them. What is you experience of editing and polishing your manuscripts? Oh… I hang my head in shame here. This was the biggest learning curve I’ve dealt with. I read that you had to get your work professionally edited. So, I forked out the money and I will never be able to thank my developmental editor enough. He broke me of so many bad habits and made my book readable. You’ll notice, however, that I said “developmental”. I had no idea there were so many types of editors. I also thought I could catch typos. I mean, I caught them in books I read, so surely I could catch them in my own work. Oh how wrong I was. I missed so many. I recently just republished it after sending it off to a proofreader. Best thing I could’ve done. Well, hire a professional proofreader for sure, and I’d highly recommend a copy editor and developmental editor. You really should have all three. I’d say there’s only a handful of authors that can edit their own work. You’re just to close to it. Secondly, read, read, read. Yes I think every published author will agree with you there. However I would say, don’t get too hung up on hiring expensive professionals to start with. I would say that if you are eager to have as many people read your work as possible – go for it! Ask friends, family and Beta readers to go through your manuscript, self publish if you want to see your work out there and are becoming too disillusioned with waiting around for that illusive ‘big break’. Then when you can afford it, hire the professionals and publish newer editions of your work later on. Of course that is just my personal opinion as a writer who is also a poor single parent with little money to fork out. Some readers will see through the imperfections, some won’t, but a reader is a reader and reviews will always be varied and personal. 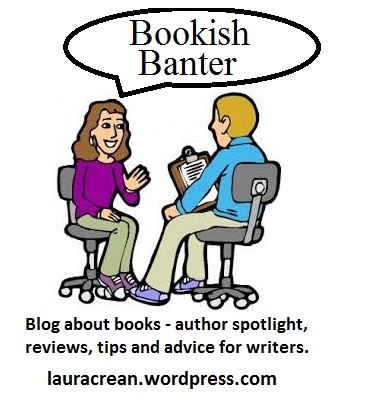 Thank you for joining us here on the ‘Bookish Banter’ L.K and taking time out to give us such an interesting insight into your writing world. Please just give us a short intro all about you. I suppose I have always been a closet writer, that is to say not many people ever really knew, with the exception of a few friends and family it’s been kept relatively quiet. I have seen it more as a hobby or interest along with all my other hobbies and interests over the years and although I do have my name to a number of articles for metaphysical magazines, games magazines and across numerous websites I don’t consider myself a published author, although others will beg to differ on that point. I used to love writing stories at school back in the early seventies, and again that love was rekindled in the late seventies, in fact some of what I am doing now derived from old drafts from back then. Over the last year and having a bit more time on my hands the idea of completing a couple of large writing projects has become more of an obsession than a hobby and become a far more realistic prospect of it happening. The easy answer is no. I am writing my first sci-fi novel and am pretty well near completing the first draft but will still be padding out some areas such as my main characters. The name may yet change but at present it will be called Past Tense, and based on an idea I had many years ago about someone going back in time to change their life for the better. Yes, I tend to keep myself fully occupied and I am actually writing a second novel unrelated to the one above that has actually been published as a wargames world scenario the idea has now become very deep and becoming more of an off world sci-fi fantasy set in the past and the future again. At the moment it is called The Survival Wars but because I have now changed where it is going I may have to rename it, writing two gives me something to do if I get stuck on the other. Past Tense is an old idea from the late seventies and had a fair bit done from way back, most of what I am doing now has been rattling around in my head since the Eighties but I never had the time or inspiration to do anything about it. I’m fascinated by time travel so a lot of what I do is based around that. Mainly sci-fi/ fantasy, but I have found ways of crossing into the world of metaphysics; whether it’s a genre I don’t know. Yes lots, the trouble is the more you find the more questions I have, so that is one of the biggest parts of what I am doing. I have seen improvement yes, my writing tends to flow better, I’ve even noticed it on the various blogs I do and I’m less likely to go back and edit articles. Stumbling blocks? Well in a way, describing a time travelling process is always going to be difficult but my way of thinking is – make it believable. Mainly the peace, I write during the day, turn off the phones and get on with it; I’ve never known 6 hours to pass so quickly. I have a blog, although quite new, so still feeling the ground. That depends on a few things, self-published first although would like to take the traditional route. That’s a good one although most are just as obsessive for me as writing, I’m a collector of old stuff that nobody else seems to want, mainly old technology and electrical items, love the designs and looks of the older machines, one day they may even be worth something. Ooh! Intriguing! Maybe you’ll invent a Time Machine out of all the old parts (jumps up and down clapping hands together) – my imagination is running away with me! 😉 – when you do come back and I’ll interview you for Time Traveller’s United – I love interviewing real live Time Travellers! Micheal Morecock was and still is a favourite, the best trilogy I’ve ever read was by Mervyn Peake, the Gomenghast trilogoy, very descriptive and very readable. Yes I think a comfortable and calm place to work is a must – my life is too chaotic to write religiously – must get that sorted! I would highly recommend it – however the MARsocial internet group that you belong to is just as good as the face to face in your local community kind. It is a place to talk to like-minded people and ask questions, get advice and network etc. The first and I believe the most important is write it, don’t spend too much time thinking about it or researching details, get in down on paper or the computer and out of your head, I found this the most useful piece of advice and is why I have the first draft done. Yes it does need padding and yes it will need the grammar and pronunciation checking but it’s sitting quite happily on my computer rather than in my head for the first time, that in itself is an achievement. Where can we like your fan pages?